During the last ten years the Credit Management Research Centre at the University of Leeds in association with the Institute of Credit Management has compiled key credit management indicators from its main Credit Management Quarterly Review survey. The Quarterly Review now has over 2500 regular respondents from the credit industry. Seven of the Key Performance Indicators of the Review have been brought together to form the Business Credit Index (BCI) and analysis has been carried out according to broad industrial activity and size of each respondent company. Overall trends are shown representing a total of 36 quarterly time periods. The latest time period represents data collected from January to April 2008. The Credit Management Research Centre was commissioned to undertake a survey of Export Receivables by Coface, a leading provider of cash flow protection solutions for business. The Export Survey 2007 provides a unique insight into the management of credit and financial operations by UK export professionals. A key remit of the 2007 survey was to produce a report which is consistent and comparable to previous Export Surveys carried out by the CMRC. Key areas of analysis include a general overview of receivable management practice and the extent to which exporters use external tools, such as debt recovery and/or use the products and services of organisations (e.g. credit insurers). Credit insurance helps companies to protect their current and future cash flow and net profit. The management of credit insured companies concentrates more on the development of core activities. Such is the main conclusion of a study on 2,000 businesses in 10 European economies carried out by the Credit Management Research Centre, University of Leeds, UK, for Euler Hermes during the first semester of 2006. 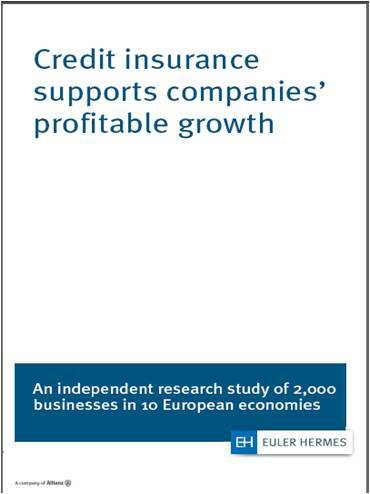 The study further points out the solid relationships with suppliers and banks of credit insured companies.